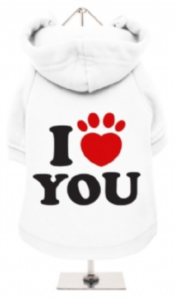 Do you find that you like some Yorkie clothes, but there’s a color or pattern that doesn’t work for you? Or maybe you’ve found the right design, but you want a hoodie instead of a-t shirt, or you need that perfect shirt to include a harness? Check out the “design your own” section of our online store here! If that’s you, you need the option to design your own dog clothes. And guess what? Yorkies Only has that option for you! 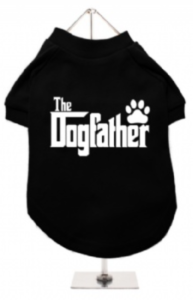 We offer t-shirts, harness lined t-shirts, sweatshirts, and hoodies for your Yorkie boy or girl. You can pick your preferred size, color, and also choose from many pre-made designs, or create your own saying. So if your Yorkie boy has a touch of bad in him, you may choose the Evil Inside logo. 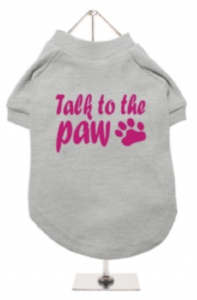 Your Yorkie girl might like “Talk to The Paw.” And, if nothing else, “Respect The Yorkie” which will show your furbaby’s supremacy!